World-renowned industry experts Jesper Koll and Shingo Tsuji are confirmed to speak at MIPIM Japan 2015, the Japanese Forum for Global Property Innovation to be held in Tokyo on May 20-21. Check out why you shouldn't miss this major real estate event! MIPIM Japan is the 1st real estate forum for Japanese and global leaders, joining together property and finance professionals from all asset classes: office, retail, infrastructure, leisure, residential. Check out what you can expect from the 1st edition of this event! MIPIM Japan has announced major industry experts to address one-of-a-kind keynotes around the Japanese property sector. Among them, renowned Jesper Koll, Managing Director, Head of Japan Equity Research at JP Morgan Securities Japan co. and Shingo Tsuji, President and CEO of Mori Building. 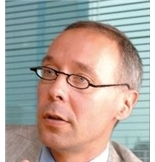 Jesper Koll is unanimously regarded as one of Japan’s top strategists. Writer of two books about Finance, Jesper will deliver its long-awaited keynote on the Japanese Economy. As the head of one of Japan’s largest developer, Shingo Tsuji has driven the development of major real estate projects in the region. 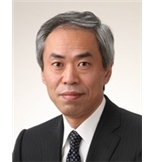 He will be sharing his expertise during the Closing Remarks keynote, MIPIM Japan’s icing on the cake. With a large number of investors expected this year at MIPIM Japan, a special focus will be on Inbound Investment in Japan. Led by reputed Japanese property finance specialists, these sessions will cover both regional and city investment strategies. The city of tomorrow will also be given the place of honour. International cities such as Iskandar, Stockholm, Copenhagen or Paris will meet Tokyo, Fukuoka, Osaka, Nagoya and Yokohama to discuss, among other things, the fascinating topics of smart and sustainable cities. With the Japanese hospitality sector booming, new opportunities are emerging from the hotel property market. In that respect, a series of sessions will be delivered on Tourism, including “The strategy of Japan’s hospitality market”, moderated by Mori Trust Co. Executive MD Miwako Date. As the Japanese economy is open to the whole world, Outbound Investment will also be tackled at MIPIM Japan. Attendants will be able to review a diversity of property markets: Russia, UK, Vietnam, Philippines, Malaysia, Myanmar and USA. ★ Check out MIPIM Japan’s full conference programme! ★ Don’t wait any longer to register for MIPIM Japan. Get registered before May 10 & save money!